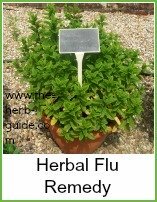 A flu herbal remedy can relieve the symptoms if you already have it - read here to boost your immune system to fight off the infection. One of the first things you will probably suffer is a sore throat. Take one bunch of sage leaves - wash and dry - and a pint of water and simmer for 20 minutes. Strain through muslin and add the sage water to 1lb of honey. Simmer for a further 20 minutes. Cool and strain into a jar. Take 1 teaspoon to soothe your sore throat or cough or use to sweeten hot lemon drinks. You can use this four times a day. This will keep for about 6 months. The photo here is of a bottle of my sage and honey cough medicine. It is one thing that I keep in all the time. 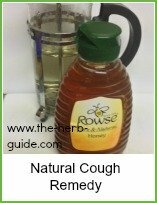 It is particularly good for coughs if they are the aftermath of a cold or flu. peel and chop 2 heads of garlic - then crush finely. Mix into a pot of honey and leave overnight. Stir in the juice if any has formed and take 1 teaspoon to soothe a cold, cough or sore throat. Take up to four times a day. This mixture will also keep for about 6 months. It's well worth preparing a jar of one or both of these medicated honeys. 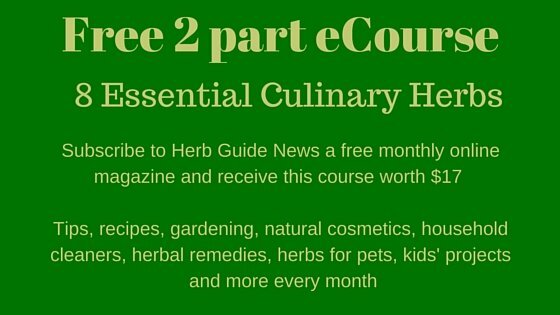 the honey acts as a preservative in the flu herbal remedy. I prefer sage because of the smell of garlic, but many people swear that garlic is more effective. To relieve the congestion, try a peppermint inhalation. Use 30g of fresh peppermint leaves (or one tablespoon dried) in a bowl of freshly boiled water. Put a towel over your head and inhale for a few minutes. Eucalyptus oil is effective as well - use about 4 or 5 drops in boiled water as above. The sneezing, runny nose, sore throat, headaches and muscular pains are all signs that your body is fighting the infection. 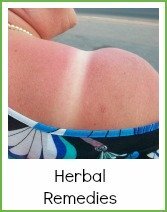 In addition to the herbs, get plenty of rest and drink lots of fluid.